What is art? It is a question that will elicit a multitude of answers, and it is unlikely that any two will be alike. Our view of art is largely informed by our own experiences. But intellectual curiosity keeps you young, and it is critical to our growth that we get beyond our own myopic view. I was reminded of the importance of challenging assumptions when I visited the Asian Art Museum last week. 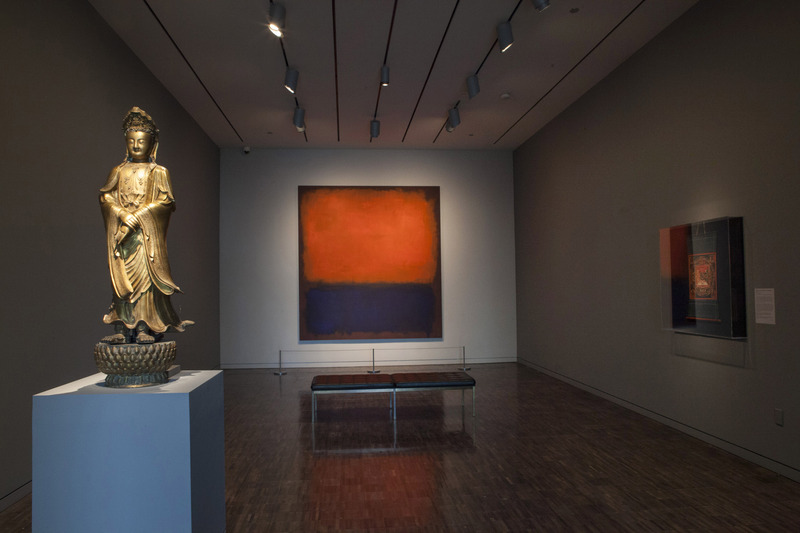 With only days left in its run, I had come to the museum to see its latest exhibit, Gorgeous, which blends together 72 pieces from the collections of the Asian Art Museum and the San Francisco Museum of Modern Art. Gorgeous as a concept is much like art in that we all define it in very different ways. Sometimes the mere act of finding something gorgeous cannot be explained but can only be felt. Going into the exhibit, I was of the notion that modern art was Gorgeous while Asian art lacked a certain resonance with me. And the idea of the precision laden silk scrolls of Chobunsai Eishi next to the sexually charged brush strokes of Picasso’s “Les femmes d’Alger” seemed an odd match a best. The four rooms making up the exhibit were dissonant, emotional, beautiful and at times confounding. My tendency was to gravitate toward the modern art, but I forced myself to work through the Asian pieces and learn their story too. As I moved through each room and shook away my biases, I began to see the pieces with new eyes. Never was Mark Rothko’s No. 14 more beautiful than with the juxtaposition of the bronze Bodhisattva Avalokiteshvara (considered the personification of compassion) in the foreground. In the end, I learned that my previous disinterest in Asian art was probably marked by my lack of understanding of it. And that sometimes to challenge our assumptions, we just need a different perspective.